The marketing challenge every Real Estate Agent faces is, how to stand out in a crowded market-place. How do you differentiate? 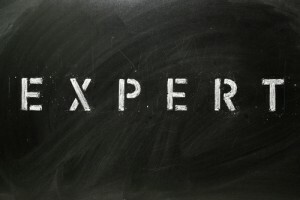 What do you do to establish yourself as THE local community expert? There isn’t one simple answer, but rather, a combination of things. Do each of these together, and you’ll establish a brand presence separate from the rest in no time. Good design used to make you stand out on the web. Now it’s the price of entry. The thing you need to think about is that there are thousands of not millions of sites for every search term. Think about it… What’s going to make someone stop on your website? Jay Thompson’s new design comes to mind as something fresh, professional, and easy to navigate. In short, it stands out. Learn more about the local communities. Are you giving them an easy way to search for homes? More importantly, are you optimizing those listings pages to convert browsers into contacts and potential buyers? Ever come across an awesome looking website only to find that they’re content hasn’t been updated in about 6-7 months? What do you do next? You leave, right? After all, how reliable can the information be? In Real Estate, where the market changes daily/weekly, consistency demonstrates trustworthiness and reliability. The more up-to-date your content, the more reliable it is and the more likely people are to keep revisiting it for more information. I’m engaging in what is going to be the single, biggest, (often scariest) transaction of my life. Help me learn about the buying/selling process. How does it work? How can you help me feel at ease? Your website, above all else, needs to be helpful. The more helpful it is, and the more at ease I feel, the more likely I am going to be to want to work with you. If I want to contact you over something, how easy is it to get a hold of you? Can I find your contact information easily? If I look at the comment streams on your website, will I find that you’re responding to people who leave a comment? If not, what does that say? If I click over to your social network profiles, will I find you interacting with others? Or are you just broadcasting your “stuff”? Again, what does that say? What else can you do to stand out in your community and establish yourself as the local community expert? I think the design of this site is amazingly beautiful/professional. Who did you use? Even if you’re not a designer, you can still make some pretty good headway with a solid, professional looking theme to work off of. For the longest I’ve enjoyed the “Over Easy” theme from WooThemes and a few of the StudioPress themes. Then, if you really need some design work done, you can always ask around the Twittersphere or post a request on logotournament.com or elance.com. Great post! All 5 points are great! I’d only add: being a Ninja. Haha! Need more coffee. Ha, yeah… Thanks for the laugh Seth! I’m working on a 16oz can of Redbull, no coffee today.